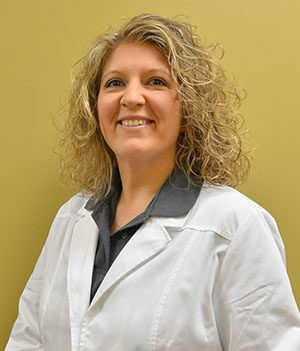 Angie’s practice includes patients as young as 18 months to 100 years. She performs routine physicals, PAP’s, CDL physicals, joint injections, lesion removals, toenail removals and more. Her goal is to use her medical experience that was gained earlier in her career to keep her patients out of the ER as much as possible and as healthy as possible. Angela Pannuti formerly Brown, was born and raised in Morehead, KY. She received her Bachelor's Degree in biology from Morehead State University and then received a Masters in teaching from Morehead State University. She taught high school for 4 years before returning to school and getting her Masters in Physician Assistant Studies from the University of Kentucky. Upon graduating from UK, Angie moved to Pikeville KY and worked in a level II trauma center ER for 2 years before joining Morehead Primary Care. Angie is married to Thomas Pannuti, professor of astronomy at Morehead State University. They enjoy spending time with their black lab Raven and wild cat Spock and are members of Jesus Our Savior Catholic church.